Today, Pawlean turns 4 years old. And I have been officially blogging since 2008… that’s a loooonng time. I never thought that I would go back to blogging after abandoning it to focus on my A-Levels at the time. But now, it just makes so much sense for me to continue the most loved hobby that has brought me happiness, joy and more opportunities than I have ever imagined. One late July afternoon, I contacted my good old friend Kassy in excitement about my blog. I couldn’t wait to set it up again, I honestly felt like I had awakened some neurons that hadn’t been fired since 2012 which was the year I had wrote my last blog post. This time was different, gone were the days of embarrassing URLs. I stuck with Pawlean; my Xbox Live Gamertag at the time. If it wasn’t for a conversation that brought up my secret hobby, I don’t think I would’ve entered the digital space in this way again. Encouragement to the point of pestering turned the conversations into action, the panda in space told me to create and write again because of the light and sparkle in my eyes he had seen when I spoke about it. Still undecided, I thought about it a lot during one of my lectures (I do listen though, I promise) where fruit flies were thrown at me (and a few others.) That lecture was pivotal for me. Unexpectedly, that was the ball of inspiration or whatever you call it that kicked me to start writing again. Bloggers now have the opportunity to be paid to publish posts. Almost everyone I now meet has some sort of publishing platform they post their thoughts onto – whether that be things like Medium or even on social platforms like Instagram (also known as ‘micro-blogging’) I’ve seen businesses use blogs as part of their communications strategy. This shift affected me more than I realised at the time. Everybody was suddenly fashion bloggers, I felt like I needed to do the same! And despite inspiration hitting me (literally) that day, I felt disconnected in my first few posts. My writing didn’t feel good enough, I lacked the consistency I once had and I didn’t have posts like everyone else. There were moments where I wanted to close it all down again because it felt pointless trying to be at the same standard as newer, more modern bloggers in the space. So what did I do? What do you do when you find yourself out of that loop? I tried to visualize my 8-year-old self on my parents’ clunky computer bursting with creativity. I loved to create for the love of it, trying to generate engagement was never effective because I was not my authentic self and looking back, it definitely showed in my posts. Learn things, create things and share that I did the thing. At the time, it was creating Photoshop Artwork. Or what the cool kids used to call, “blends” and building up my online diary. Re-focusing on what truly matters worked, reminding myself why I started when I was that 8-year-old girl re-connected and grounded me. I decided to stop trying to fit into a niche and publish whatever I wanted whenever I wanted. The time I spent on my blog never felt like a waste of time, in fact upon really reflecting on it, I have benefited from this world in more ways than I ever thought I would! ✏️Improved writing skills over time. 🌐Cultivating a supportive network of friends online. I now know the coolest people online (with whom I practically grew up with) who have always given me advice and support in all aspects of life when I need it. 👋🏼Reaching more people. My reach has continued to improve. Every day, it makes me happy to connect with more and more like-minded people. I have also got the chance to talk to loads of people around the world about my blog every day during interviews, talks and daily conversations which all contribute to these incredible connections. 💻Improved digital and web-development skills. Blogging is what sparked my interest in technology and was my safe place for learning how to code. 💆🏻‍♀️ Free therapy. Honestly, the whole process of creating a post is so therapeutic for me! It’s calming and helps whenever I feel on edge. ⚡️Opened opportunities I didn’t know existed. My blog was read by someone who then offered me a bunch of freelancing video projects because he was impressed by what I was talking about and the audience I continue to build. I have also partnered up with some great brands and have been paid for my writing and ‘influence‘! 🍀This blog contributed greatly during my job search. My placement year and current summer placement loved my blogging and digital background. I will never let views and statistics blur my blog’s aim to create a space for me to be creative and inspire others. A year of positive habits and focus on self-care: where my health and well-being journey began! Somewhere Only We Know: a letter to the one, during a time in space. 5 things I have learnt in 2016: you’ll find me doing these a lot. I am the self-reflection queen. Practicing Mindfulness: the first time I mentioned meditation on my blog, since then it’s discussed daily. A reflection of my placement year: I was thrown into the “real world” for a year, here’s what I thought about it. Having Pawlean shared at University – literally everywhere! Being recognised in real life and giving people real life hugs!!!! 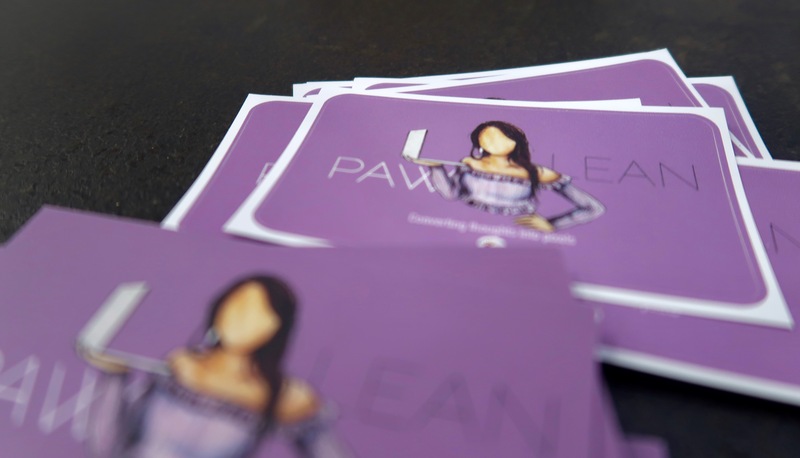 Shipping 40+ Pawlean stickers and business cards across the world in the last two weeks. Omw to work this morning, a girl came up to me and was like "Hey, this is gonna be weird but you're pauline right? as in p-a-w-l-e-a-n"
Matt and I watched Skyscraper. It was amazing/shocking/stressful. Then as I was recovering after it finished, this girl came up to me and said, "hey are you Pauline?" 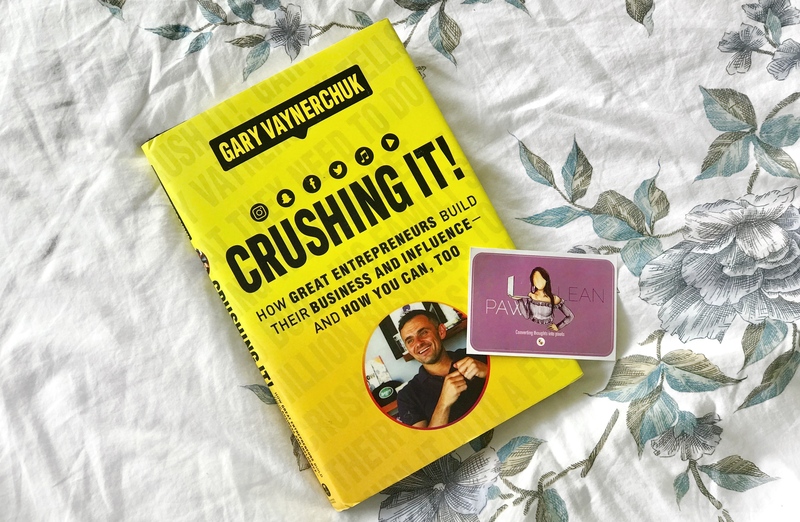 To celebrate Pawlean’s birthday, I’m giving away a copy of Gary Vee’s book “Crushing It!” along with a Pawlean sticker. For a chance to win, comment below how you found Pawlean! Interested in starting your own blog? I have just the blog post for it! TL:DR: As cliche as it sounds… just start. It’s not going to be perfect right off the bat, but don’t you think that there is something great about seeing progress over time? I found you on Instagram. Ahhhh Happy Blog Birthday!! Loved reading all about your journey to get here. I will also NEVER be a fashion blogger because let’s be honest, 99% of my outfits are jeans, t-shirts, and flip flops. But that’s what I love most about your blog is your honesty and how candid you are! Also, thanks for the flashback on AOL dial up haha, those were the days! Pretty sure I found your blog via a comment on someone else’s. Creeped on you and decided YES, she is my people! Congrats on this milestone and I’m so glad we get to be a part of your journey! Thanks so much Susie! I am exactly the same, I prefer jeans and a tee than all the designer clothes fashion bloggers are throwing around for sure haha. Hm…hearing how you made your blog…well more about you and not worrying about what others were doing, makes me want to improve my own that way. Also its nice hearing how your blog helped you well…everywhere! Hm…I don’t remember how I found your blog. My guess is either Twitter or maybe you commented on mine. I usually returned the favor and usually found other blogs that way. I probably should remember, since it was probably like a year or so ago, but I don’t exactly. Those are my guesses. XD However, its a blog that’s very inspiring for me! I have the same inspiration gained from your blog Claudine, I wish you the very best with your re-connection moment. You can do it! I’m always right here to chat to if you ever need anyone to listen!! Happy blog birthday, Pauline! I can’t believe it’s been four years already. It seems like minutes since I was reading your first posts on here. It’s strange how fast the time goes. Congrats on doing so well with Pawlean. Your posts are some of my faves to read and I always feel so motivated whenever I do. And you’ve achieved sooooo much since you started! So glad we got to meet last year! I think I found you through blogger friends but I can’t really remember! Glad I did though! Thanks for your kind words Amy, much appreciated! <3 I'm the same with your blog, I always go onto it whenever I need a laugh haha. I started blogging as well way back 2005 and was enthusiastic until 2011 since you get excited to meet new friends on this new found hobby and then I went on and off. I was on the moment of giving up blogging but I just couldn’t. I end up coming back again. I just love the feeling of writing and sharing stuff though I know I don’t affect much of the crowd yet. I just like to blog 🙂 And that is an awesome journey for you! It just shows that blogging made you something because you’re doing what you love so keep on blogging! Congratulations on reaching 4 years with Pawlean! It’s good that you’ve found yourself back into the blogging scene after some break. You’ve kept it going ever since. It’s great that you’ve benefitted so much from blogging, whether it’s learning, connecting, and feeling better overall. Keep it up, girl! Congrats on 4 year anniversary and many more years to come! I found you on your blog and have been reading it on a somewhat regular basis and your writing style is different from most blogs I have read – lots of photos and videos! Keep up the good work! Thanks Sakura for reading and commenting as always, I appreciate it! The book is definitely interesting, although I have yet to apply all the tips and tricks I have implemented a few and saw a positive impact 🙂 I’m glad we found each other, I enjoy reading your blog too! I remember posting an entry almost every day… not sure how. Now I’m really slow at posting things. Thanks for sharing your story and congrats on pawlean being 4 now! HAHA, I had to YouTube it just to hear it again. Those were the days!! I am so late in the game, but I am so excited for you and your success. I really enjoy your blog and you’re truly inspirational. I can’t wait to see what the next 10-20++ years bring. Keep on being amazing!